As Director of Finance and Operations, Lisa Herschbach oversees operations, design and construction, and all budgetary and financial matters, including Thaden’s indexed tuition program and student enrollment. She also teaches history. 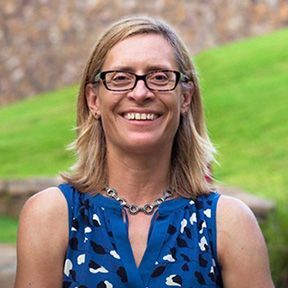 With roots in Massachusetts and California, Dr. Herschbach comes to Thaden from Princeton University, where for ten years she served as Dean of Wilson College, one of Princeton’s six residential colleges. She managed all aspects of the College’s operations, including housing, dining, security, and facilities maintenance. She was also responsible for all staff hiring and supervision as well as management of the College’s operating budget. More recently, Dr. Herschbach served as director of Princeton’s Center for Teaching and Learning and co-chaired the university’s committee charged with strategic planning for teaching spaces. She began her career in education as a member of the history faculty at Rutgers University, where she created an interdisciplinary program in science studies. A teacher, academic adviser, and administrator for more than two decades, she brings to her current work a deep understanding of Thaden’s mission that informs her stewardship of resources and her efforts to support faculty in their teaching and professional development.